JOIN OUR EXCLUSIVE REWARDS PROGRAM TODAY! I whole heartly love these people!! They have a great,friendly and reliable staff! Their work is excellent. I will definitely be be back for work on my other vehicle. Thanks again for all that have and continue to do!!!!! We want to be your preferred auto repair shop in Waldorf. If you are having car troubles, auto repair from Cottman Transmission and Total Auto Care could be just what you need. If your car won't start, your air conditioner is broken, or your check engine light is on, bring it in to us. When your vehicle isn't working properly, it can put your entire routine on hold. That's why we provide quick and efficient automotive repairs to get your car fixed and get you on your way. We know how busy the schedule of many local residents can be, and we won't keep you waiting around all day. We offer free estimates and upfront pricing. When your car is acting up or out of commission, we are your one stop shop for automotive work. Auto repair is efficient and affordable at Cottman of Waldorf, and as members of the community we're proud to serve our friends and neighbors with top-notch service. Bring in your car today and let's see how we can get you on the road again. There’s a lot more to transmission repair and service than simply rebuilding your car’s transmission. In fact, these days, most cars that come into Waldorf, MD Cottman with a “transmission” problem don’t actually need a new transmission. 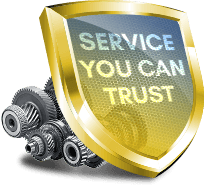 That’s why Cottman now offers total auto care service… because you really don’t care what’s causing your car’s problems: You just want someone you can trust to fix them right… the first time. And that’s exactly what you can expect when you bring your car to Waldorf, MD Cottman Transmission and Total Auto Care center. At Waldorf, MD Cottman, we’re only too happy to provide those services and repairs for you. We’d much rather keep your car on the road and running right, because we know that’d make you happy… and a happy customer is more likely to come back again and to refer his friends and family: a win-win for both of us.